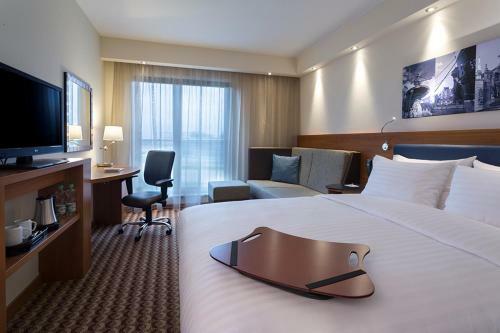 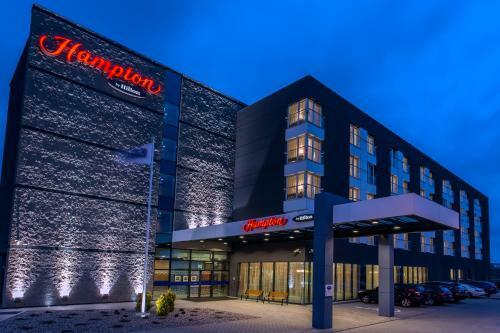 The stylish hotel Hampton by Hilton Gdansk Airport is located just 200 metres from Gdańsk International Airport terminal and a 15-minute drive from the city centre and the spa town of Sopot. 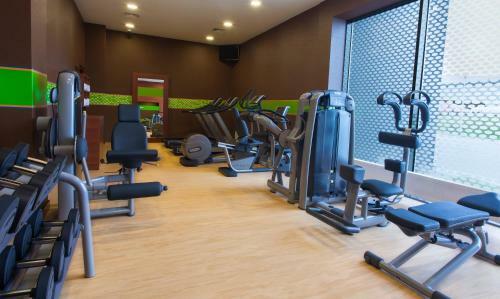 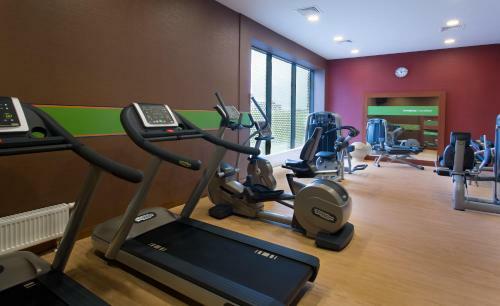 Free 24/7 access to the fitness club and Wi-Fi are offered. 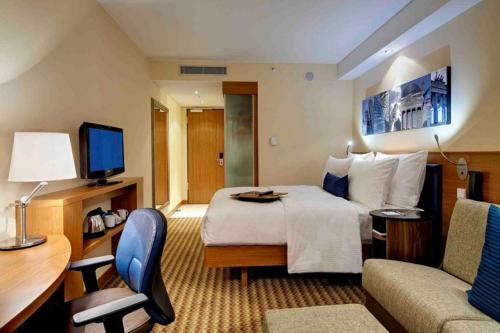 The rooms are modern and bright and each comes with a 32-inch flat-screen TV and coffee/tea making facilities. 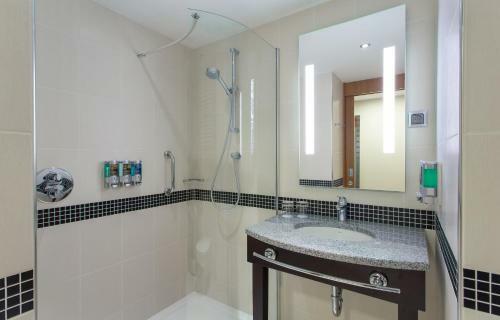 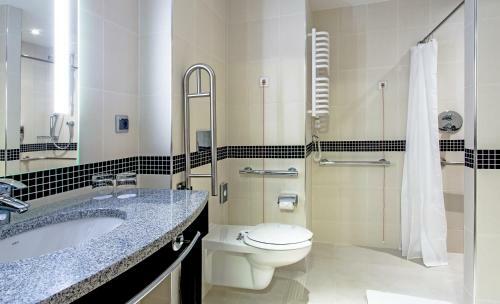 The bathroom has a shower and a hairdryer. 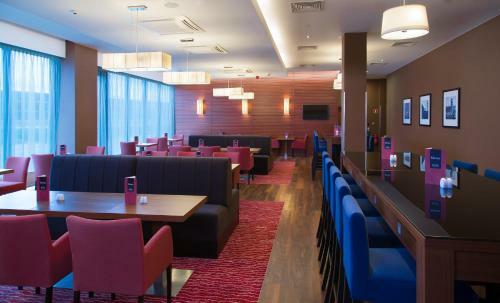 Guests can enjoy their meals in the hotel’s restaurant. 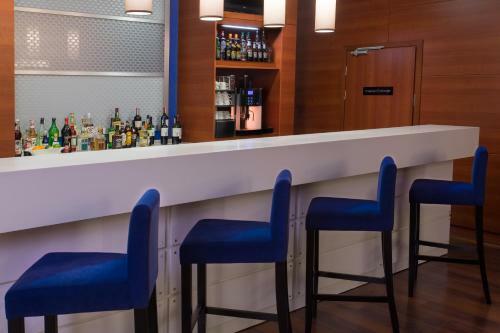 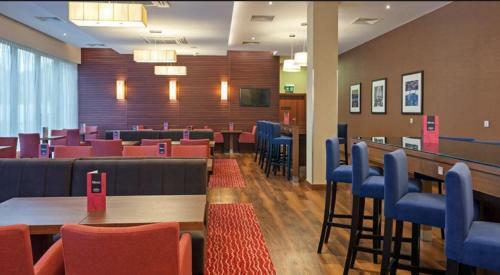 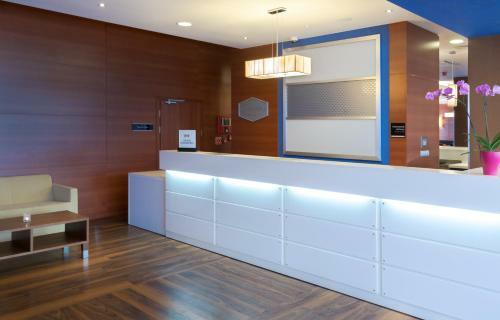 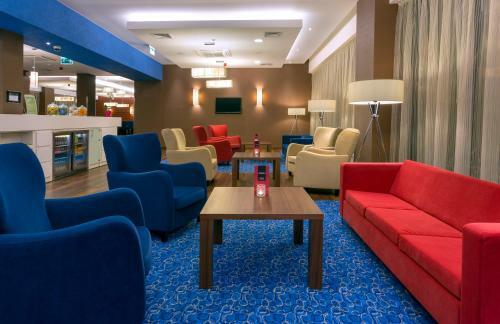 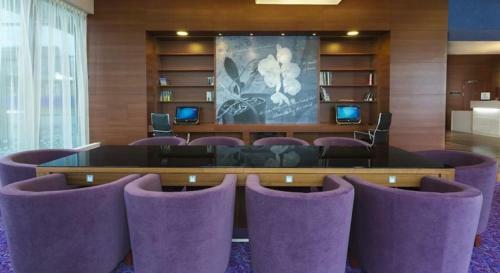 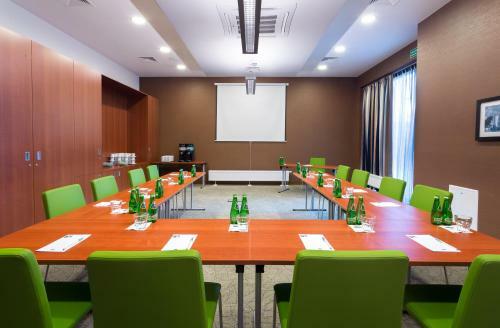 There are modern conference facilities available at Hampton by Hilton Gdansk Airport. 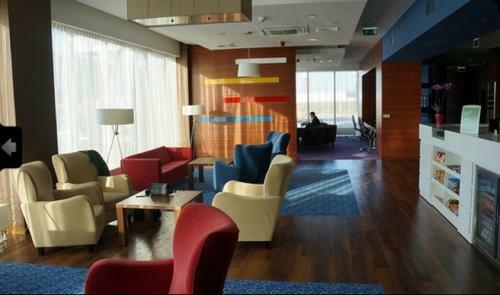 It is 200 metres to PKM City Railway Station and Rębiechowo Train Station is 3.5 km away. 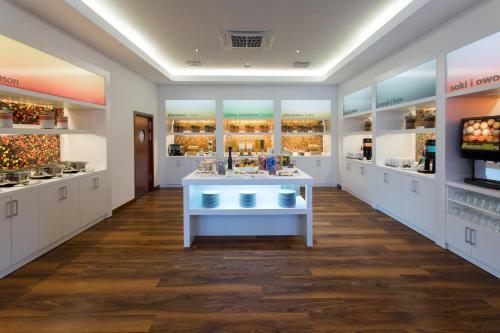 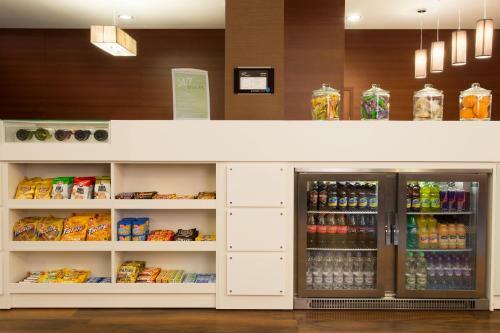 Guests can order packed breakfast when the front desk is notified before 22:00 on the day before check out. 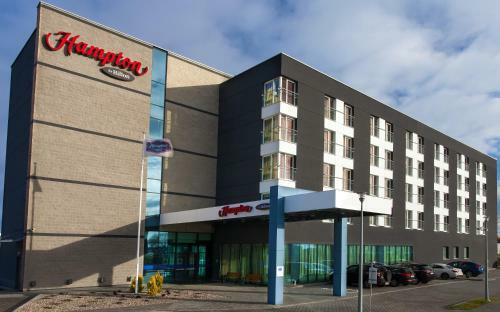 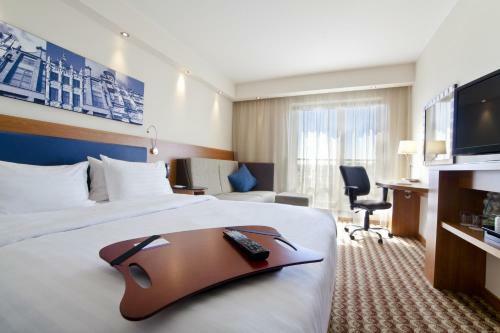 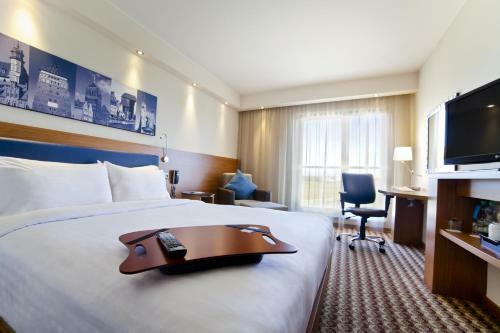 the hotel Hampton by Hilton Gdansk Airport so we can give you detailed rates for the rooms in the desired period.